Make a game to bring awareness to any environmental issue. Hosted by BrokenBunnyStudios after realizing his garden had no pollinators. You have 10 days to make a game that will draw attention to any environmental issue. After that voting will begin and last until the end of the month. Winner gets bragging rights ! 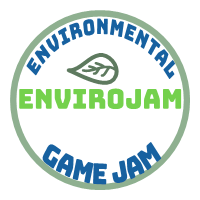 Tweet us @TheBrokenBunnyto show off your #envirojam work!